Following on from my last post about Museums and Digital Engagement, which covered the experiences of the Horniman Museum. This post turns to the Wellcome Collection and their digital engagement activities. Instagram is Russell’s favourite platform for regularly sharing and speaking to audiences. He is a big advocate for being a big tease on Instagram by sharing behind the scenes images for exhibitions. It makes followers curious and intrigued to find out more. Russell gave a great example from their Idiosyncratic A to Z of the Human Condition exhibition where visitors were invited to contribute to the gallery in different ways, submitting Instagram photos for a few of the themes explored in the gallery was one way to participate. 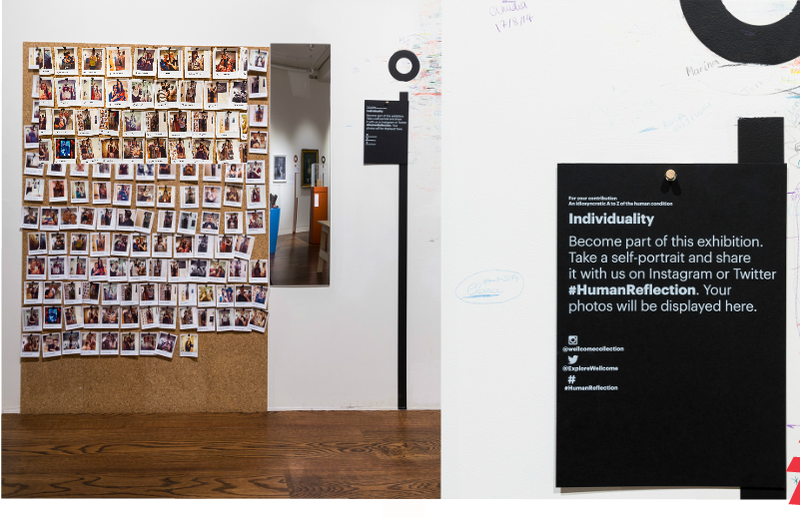 Particularly the theme on individuality where visitors could become part of the exhibition by taking a self-portrait in the mirror in the exhibition share it on Instagram, to extent this engagement activity Russell printed the photos out and put them up in the exhibition. It’s a bit meta, but there’s something really nice about creating a physical manifestation of a digital output. Many visitors seemed to like it, and went back to take a selfie of them by their printed instagram photo, and the whole process started again, creating a circular physical/digital engagement. Russell also discussed the idea of inviting instagramers and local photography groups into the gallery is a nice way of getting new social content. Russell then discussed how they have used the hashtag #CuriousConversations on Twitter and in the gallery to engage visitors by asking questions and entering into conversations. Every couple of weeks a new question is asked on Twitter and in the Wellcome’s Medicine Now gallery. The responses are gathered and discussed and a staff member who also happens to have a secret skill as an illustrator interprets the public responses. This is a really nice way to incorporate staff skills in new ways. This is also another example of how the Wellcome Collection has mixed up physical and digital elements online and in the gallery space. Use prior or after an exhibition or events to build a buzz or reflect upon. 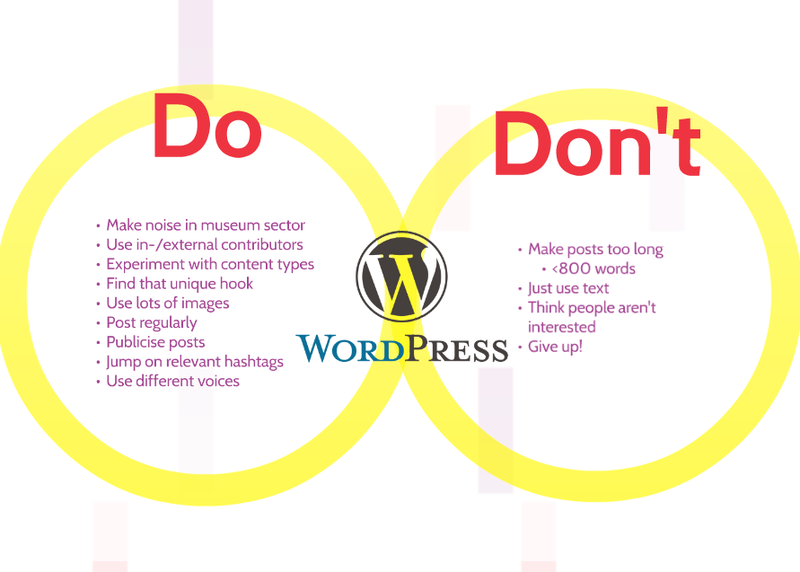 Russell also highlighted the example of using the blog to not only talk about Wellcome Collection themes but more general museology questions and issues – like the use of no photography in the galleries.